Group Therapy is when a small, carefully chosen group of individuals meet together under the supervision of a professionally trained therapist. The purpose of group therapy is personal growth and improved problem solving skills. Individuals in group therapy also find improvement with their social skills and interpersonal relationship. : Group therapy provides the client with feedback from other clients and the therapist. Listening to different experiences is often helpful in promoting growth and change in a given situation. : By seeing others in similar problems, the client can adapt and add new coping methods to his or her issues. This is beneficial because it gives the client a variety of solutions on what may or may not work. : Joe listens to John talk about how his supervisor’s impossible expectations were causing him stress. John stated that following the chain of command to resolve his issue with the supervisor was more productive than simply getting angry at him and not speaking. As he listened, Joe thinks of how he might try this same strategy with his supervisor. He can then try out this new behavior by practicing with the people in therapy in order to gauge their reaction to his particular situation with the assistance of the therapist to guide the group as a whole. : Group therapy is generally a more affordable option. Although cost varies from setting to setting and from therapist to therapist, group therapy rates tend to be more affordable—in some cases, roughly half the cost of individual therapy. This allows people to stay in therapy longer than their financial situation might otherwise allow them to. 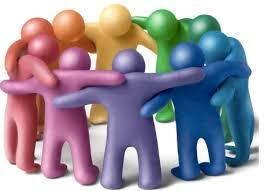 At Forward Counseling, most of our groups are covered by insurance and we even offer free or pay what you can groups. Improve social skills: Another aspect of group therapy is improvement of the client’s social skills when encountering a stressful or an unpleasant situations. When the therapist helps the client become an effective listener and communicator, then the group benefits from this interaction because the client notices how his/her behavior impacts his/her circumstances. This additional advantage found in the group therapy setting leads the client to learn new social skills which will ultimately improve all aspects on their lives when facing unforeseen situations or relationships. It is fun! Group dynamics can be more exciting and fun that traditional 1:1 therapy. In our groups, we utilize art, psychodrama, sand tray therapy as well as Gottman Skills, CBT, and DBT. For most of our clients the group hour flies by.